Picture: The Three Hairy Men (from left: Nafis, Angus & Omar) with Prof. Greg Clancey, Master of Tembusu College, after their win. The College would like to congratulate the "Three Hairy Men" for their victory in the Intercollegiate Debate Shield Finals. 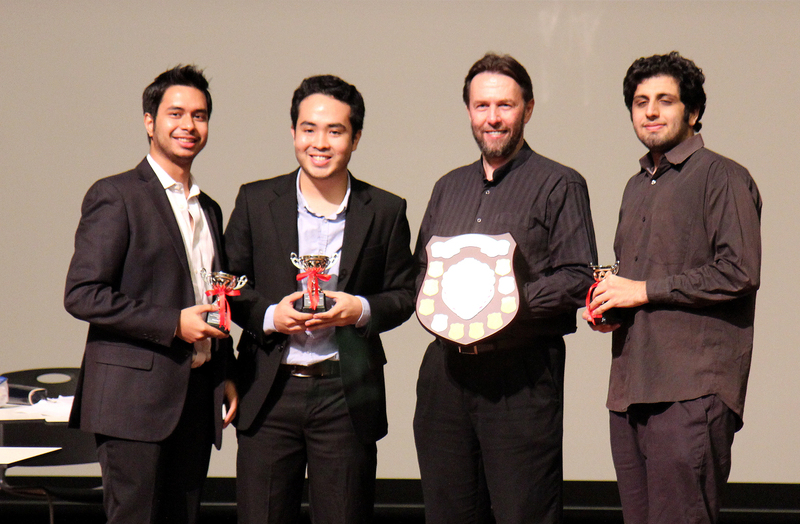 Pitted against an equally talented team from the University Scholars Programme (USP), the team rallied hard to bring home the shield in what was a fiery debate riddled with humour, charisma and emotion. The University Town Intercollegiate Debate Shield is in its second year running, with the previous holders being the University Scholars Programme.